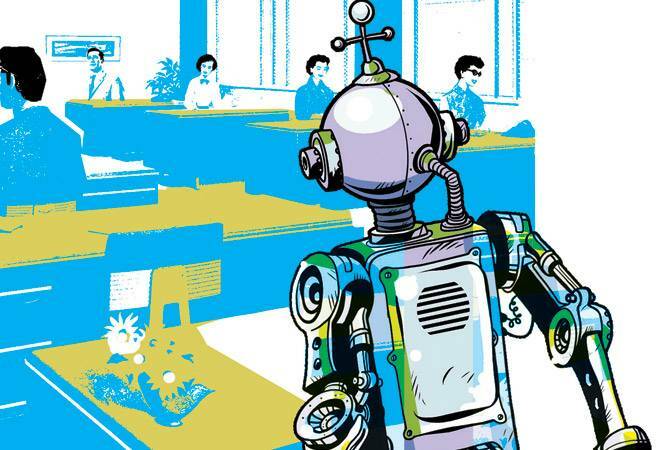 Companies are using artificial intelligence to understand employees needs and increase productivity. 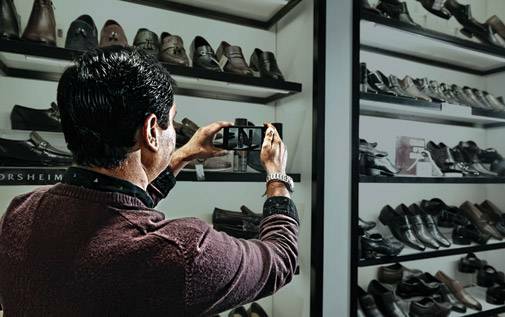 Ketan Vyas, Managing Director of Noida-based shoe- and foot-care firm, MV Shoe Care, wanted to adopt new ways of working. But limited budgets meant that the talent his `40-crore company could hire was not 'top-notch. Vyas' suggestions to upskill were often resisted and ignored by the 100 employees. vendors they meet, while the accounts team posts the number of bills they have cleared on the Qilo page, which works like a Facebook news feed. The app pulls out this data from the employees' timeline and tells whether their work is going on at the right pace or not. It also gives suggestions on how things can be improved. "Now, instead of the manager, the machine plays the role of the bad cop," says Vyas. Since everything is documented and accessible in the entire company, most employees have started following instructions. "This has brought in transparency and objectivity and helped us identify and reward the worthy candidates," he says. Qilo is part of a trend where companies, both big and small, are adopting AI - specifically predictive analysis, machine learning and natural language tools - to make their employees happier and more productive. The uses include identifying the mood of employees, finding the disgruntled employee prone to be poached by a competitor and recognising the silent worker deserving a raise. While behemoths such as SAP and IBM are working on their own AI and integrating them with their HR portals, others are adopting third-party tools such as chat bots that automate repetitive tasks and give employees time to focus on more critical and value-added work. Then there are start-ups such as Qilo, which uses machine/deep learning to make sense of unstructured data and predict if business targets will be met, and nFactorial, which uses natural language tools to analyse the language of employee feedback and gauge the mood at the company for making timely interventions. "Adoption of technology is growing, so companies are compelled to provide the same experience to employees that they get as customers," says Gaurav Lahiri, Partner, Human Capital, Deloitte. He says AI is largely used in three domains - generating insights, improving employee experience and transactional work. Increasingly, companies want their managers to play the role of a mentor - developing skills of team members, grooming them for the future, tracking their performance and giving them feedback. But often, this feedback is based on the manager's intuition, which leaves the organisation vulnerable to biases. AI can be a great leveller. 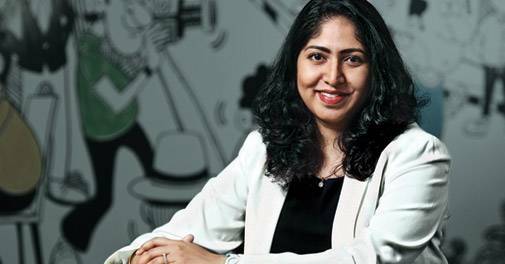 Shraddhanjali Rao, Head of HR at SAP India, says AI tools bring transparency and accountability, making employees more engaged. For instance, often team members change and the new manager, due to lack of knowledge about an employee's previous achievements, does not view his contributions holistically, which may impact his growth. In such cases, the system can trigger an alert, removing the question of chance. Or, if a lot of people are leaving from a certain team, it can alert the management to look into the matter. Machine learning tools and cognitive technologies help address such anomalies, creating fairness and trust in the organisation, she says. Some AI tools use natural language processing to pick up words and sentiment in the text to suggest if a mail or feedback needs improvement. D.P. Singh, Vice President and HR Head for IBM India and South Asia, says IBM's Tone Analyser, integrated in the HR management system, analyses feedback from employees and surveys. So, when he gave feedback to a colleague saying the presentation was 'useful' and 'helped' him, the sentiment analysis picked up these two words and said he was 'joyful'. But when he wrote the next feedback asking for improvement, the machine detected 20 per cent anger and 40 per cent confusion. It also asked him if he would like to revise the content, prompting him to moderate the tone of the message. A Pune-based HR firm, Searce, sells cloud-based people-care software, HappierWork, which can pick up personal information about employees and send suggestions. For example, it might send a message to the manager saying, "It's her birthday next week and there is no pending work, she might want a leave to celebrate." HappierWork is used by 7,000 employees of Royal Enfield, Finolex and other big companies. 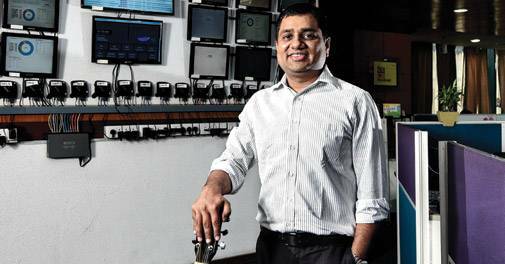 Ambarish Gupta, CEO of Knowlarity, a cloud telephony firm, used to spend a good 15-20 minutes every day to talk to his employees. As the company grew, this got limited to monthly or quarterly town halls. So, the company started using the employee feedback platform by Gurgaon-based HR analytics start-up inFeedo. The tool helps find people who are disengaged and need to be spoken to. inFeedo basically mails employees automated questions and analyses responses to generate insights into individuals and teams. For instance, it can predict who all are at high or medium risk of leaving the company. This helped Gupta narrow down on teams that need to be engaged more. "Rather than trying to do everything, I am able to choose what to do and, most importantly, what not to do," he says. He could identify seven people who were not happy and was able to address their concerns. Gupta is also an investor in InFeedo. "Daily analysis of the mood in the company gives real-time insights into the dominant sentiment, the themes being discussed and learn the impact of new initiatives on employees," says Arun Krishnan, the founder of Bangalore-based nFactorial. "An annual engagement survey is like a post mortem. Daily insights can help one take corrective steps in real time," he says. nFactorial works with several well-known companies. One of them is Manipal Group of Hospitals, which wants to take employee engagement levels from 73 per cent to 82 per cent. For this, nFactorial sends employees two questions daily, one on the mood and the other on a service provided by the company, whether it is the new learning app or the food in the cafeteria. When the group introduced cultural programmes with singing and dance performances, it noticed that the overall mood went up. "Real-time data give us insights into the impact of the intervention, and how it should be modified for future use, helping us plan better," says Ganesh Selvaraj, DGM of HR at Manipal Health Enterprises. Selvaraj is also using the data to analyse the team-wise mood to recognise those who are managing their teams well and those who need training. ment programmes for employees based on their career growth and aspirations. "Using machine learning and AI, we have a functionality where employees can highlight their career paths, interests and aspirations," says Rao of SAP. On the basis of that system, recommendations for learning opportunities are provided, she says. This is taken forward in a discussion between the manager and the employee. These features are part of the cloud-based human resources software SAP SuccessFactors. In 2016, IBM introduced Your Learning, an internal tool powered by Watson cognitive technology that provides access to personalised talent development strategies for each of IBM's 3,75,000 global employees. It asks each individual what is he/she is interested in, sees what those with similar interests are consuming and then offers suggestions. Its learning analytics also links consumption patterns with skill improvement and business impact. This not only helps employees learn smarter but also provides learners an opportunity to interact with each other and rate the learning opportunities, says Singh. IBM also has a Watson Career Coach that looks at career development opportunities for employees. Trying to find specific information - leave balance or process for claiming reimbursement - from the thousands of pages on the HR portal is a task. That is why companies are using chat bots that interpret natural language and solve employee queries in real time through a conversation, providing exact information and also getting smarter with each interaction. Till a few months ago, the 17,000 Mindtree Minds at Mindtree's 30 locations had to call their Global Contact Centre to have their issues resolved. Though the centre was open 24x5, it had limitations. To reduce the turnaround time, Mindtree rolled out Maci, a chat bot develped in-house. Now, users can initiate a chat with Maci, which can automatically identify them and answer their questions based on their designation and location, says Kumar Visvanathan, Head of People Shared Services, Mindtree. "We have taught Maci to answer simple policy- and process-related queries on Leave, Not in Office, Performance Management, Utilisation Bonus, Expense Claims, Investment Proof Submission and Payroll. These were the topics of the top six frequently asked questions at the employee help desk." He says the bot can also perform application transactions on a window. For instance, it can also apply for leave on behalf of the employee; it can also sanction a leave. As Maci becomes smarter, Mindtree plans to integrate it with its other HR processes. "In the last two months, we have seen the time employees spent on query resolution fall by 40 per cent. This has freed up 60 per cent time of the staff at the Global Contact Centre," says Visvanathan. and Cognitive Payroll & Tax Compliance Advisor to provide information about payroll tax changes and update payroll records. Gartner says 20 per cent of all organisations worldwide will use virtual assistants to manage their frequent HR administrative tasks in the next two years. Also, AI technologies will be pervasive in almost every new software product and service. The challenge for Indian companies will not be technology but the cultural and mindset shift, says Prabir Jha, Global Chief People Officer, Cipla. "AI tools will bring in transparency and put a lot of data out in the open. This will challenge a lot of traditional paradigms and worldviews," he says. There are also concerns that algorithms can reinforce biases. Recently, Microsoft's chat bot, Tay, which was supposed to speak like millennials by learning from every interaction with them, was brought down within 24 hours as it expressed inflammatory and racist opinions. Another concern that needs to be sorted is access to data. Privacy is a big concern. AI might take some years to unfold to show business results but, as Vyas says, people have started listening to machines more than their bosses. "Right now the focus is to grow the business as fast as we can"